Shots used to be the greatest dread of our lives in our childhood days. Today, when we are parents, we can only imagine what a stressful activity it is going to be for our kids. But as parents, we know that we can’t do without these vaccines as they offer proven and safe protection to out babies against serious ailments. But explaining it to the little ones is quite a task. Getting your baby each of the vaccines according to the recommended schedule is one of the most vial things to do to ensure the health and safety of your kids. Vaccines can save the life of a child in more ways than one. Now babies can be made immune against almost 14 dreading diseases by their second birthday. Hence it is an imperative to handle the stress and get the vaccinations done on time. That is why apart from ensuring that we get quality products like BD syringes and appoint an experienced doctor, we also should take some steps to reduce the stress level that comes with vaccinations. Though you know about the benefits that the shots offer, it is quite difficult to see your baby crying at the time of getting vaccinated. So here are certain steps that you can get before, during or at the end of getting the shots for easing the pain and fear of vaccination. Prior to the next appointment, educate yourself to stay cool. If you are going for a new doctor then it is advisable to bring the shot record of your kids. 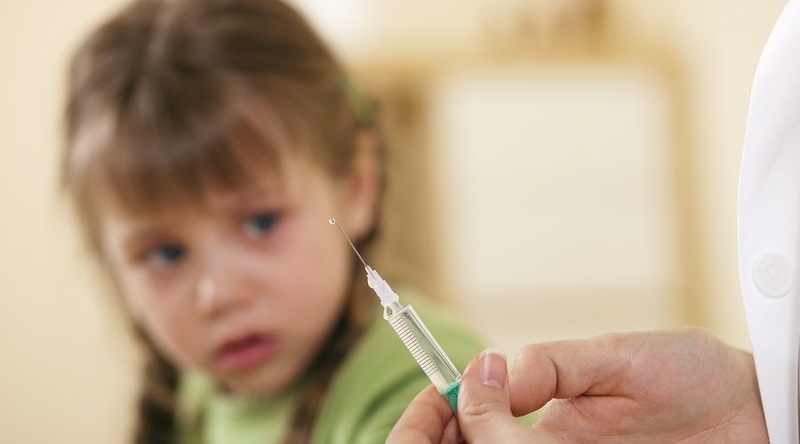 In this case, you can bring along the personal track record of the vaccines that your child has received. Be honest with your older kids. Tell them that the shots can hurt or sting a bit. But these will ensure that they remain healthy in future. Try to bring an item of comfort like a toy, blanket or a favourite book to distract the child and make him or her feel safe. Make eye contact with the little one and talk softly, smile or even sing. Try to grab the attention of your kid by making a song or telling a story or playing with a toy in that room. Take deep breaths with your older kid which will help them to ease out the pain. Hold your baby tightly on the lap. Cuddle hug and appreciate the child after the shots have been given. You can breastfeed, swaddle or use a bottle to ease a baby. Reassure and comfort the older kids if they cry. You may notice swelling, a bit of redness or soreness after the vaccination. These reactions are mild and will go away on their own and you have nothing to worry about them. If your child runs a fever try a cool sponge bath. Place a cool and clean wash cloth to ease the swelling that may happen after vaccination. Your kid may act a little fussy, eat less and sleep more after shots. Just ensure that your child gets ample rest and drinks plenty of liquids. Seek your doctor’s help if you are worried about something. As parents, apart from ensuring that all the equipment and medications are bought from a reputed store of medical equipment online shopping in India you must also stay calm as your anxiety can affect your children. Focus on the long-term benefits that you can get just by withstanding this short-term stress and you will feel relieved that you are taking this step.